I am obviously quite mad but I have been buying stuff again... even if I am trying to thin down my hoard. It doesn't help that I am in no mood to actually work on things and that even if I was, I need to get all of the items I need so that I can judge scale prior to deciding on what colours I may eventually decide to paint them. You get bigger pix if you click on the images. So, I am looking at about a dozen dragons of various sizes, a selection of young/hatchling dragons and a king dragon that is a bit bigger (not too much so) than the rest. They will provide the theme for my fantasy realm and will hopefully be the glue that bonds the different tribes together. ...and all this came from an advert about Reaper Bones miniatures. The machine is in spin, even if the production line is yet to be staffed. See you from the writer's desk! It is Saturday but this is Sunday's post. Well batten down the hatches because things are a bout to get very un-Inso like around here. Well... to cut a long story short, I have been writing a bit of background about a fantasy land filled with dragons and a few other races, in order to try and put some of my existing miniatures to use (even if it is just to act as illustration for the story). This has led me to think about what fantasy miniatures I have and the most obvious ones are my World of Twilight miniatures and my Hasslefree Dwarfs... so they have been woven into the story along with the dragons and some goblins. 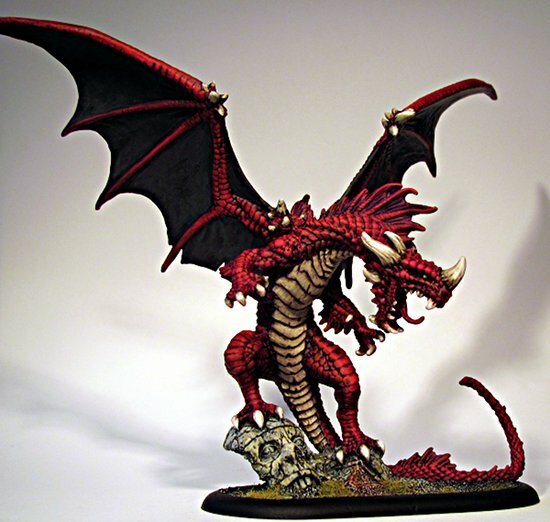 Now... me being the obsessive person that I am and irrespective of how I am currently feeling about the hobby, I have gone and bought a Red Dragon from the very helpful Tim over at Miniature Heroes and will be placing an order for a selection of their fine Mirliton Dragons very soon. I also plan to use their facility for ordering Reaper miniatures to get a few goblins. Whether or not I'll actually summon the enthusiasm to paint them will be a completely different matter but I am trying my hardest to 'throw my muse a bone' and am hoping that the complete change in direction will help matters. One thing I can say is that packing away almost all of my sci-fi stuff and taking a break from the hobby has really improved my mood so you never know, it may just be a short break that leads to some different and unexpected things from me. More information about the Land of Dragons will be coming soon so please stay tuned... it should be quite an interesting diversion. See you from the start of the race! A little bit of compassion. As you may remember, a friend of mine knew someone who needed specialist anti-cancer treatment in the USA and was raising funds through 'Go Fund Me'. That was a year ago and she is currently doing fantastically well and looking forward to the next trip over to the same US clinic to (hopefully) get the all clear. It is a great story and it was really heart warming to see a pale shadow of a young lady become pink and healthy again... with a head of her own hair and a smile to match her health. 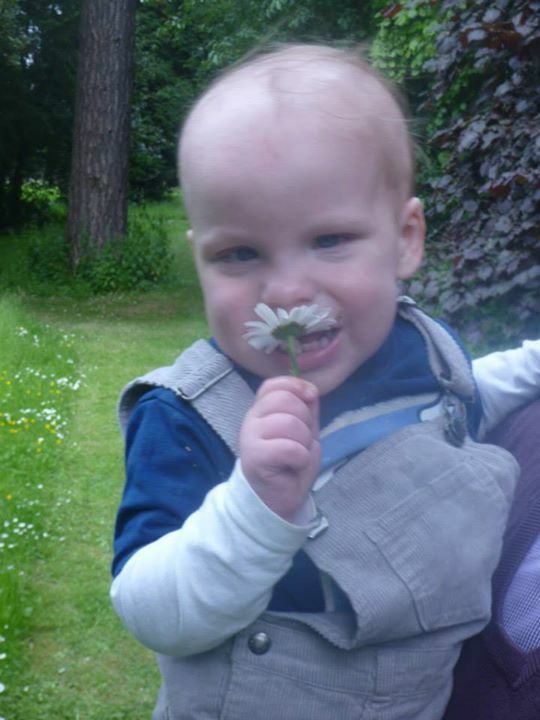 Well... time moves on and as a result of finding out a bit about proton therapy, I have discovered there are so many other people who could benefit from the same treatment that need a helping hand to get there and Handsome Henry is one little lad who could really do with a helping hand. Please take the time to check out the link and read about his plight. If you donate or not, it is up to you. See you from the end of a rainbow! I will be the first to admit that this weekend has been a lazy one. A quick trip into town to post some parcels and another quick trip to get some lunch because we just couldn't be bothered to prepare any ourselves. The children were out so when they got home... they cooked their own dinner. ...and this morning... a lie in! 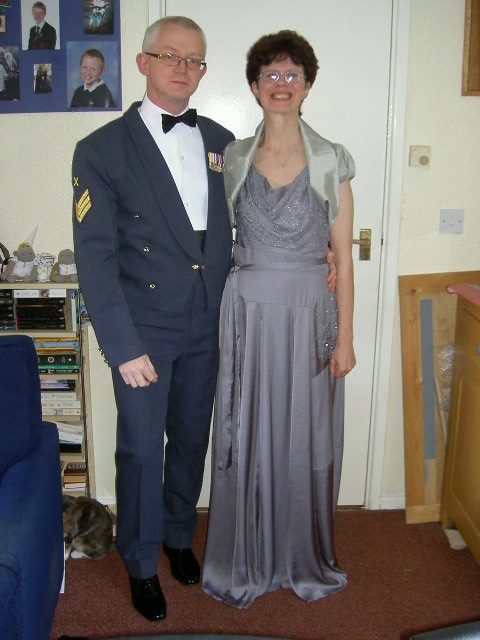 It was the first time that the two of us have been to a formal event together so we got dressed up and put on our dancing shoes and had a great time. Even tonsillitis couldn't stop me (although I did wimp out earlier than I would have liked due to a distinct lack of air). The theme for the evening was 'Best of British' and there was all sorts of different food throughout the night to reflect it; from fish and chips to pie and mash, from smoked salmon and oysters to roast beef and pork. Around the event were coconut shies, bumper-cars, old style telephone boxes, classic cars, deck chairs and all sorts of Brit-centric items. The alcohol was included in the ticket price, as was the food and entertainment. Speaking of entertainment, there was a Beatles tribute band, a Queen tribute band (the wigs were PRICELESS!!! ), a disco and a string quartet during the main dinner. It was an excellent evening and I am determined to go to a few more events now that I have the correct uniform. Yep, Charmmy is taking up her usual spot and preventing me typing as quickly as I could if I could use my left arm too. I slept really well last night. Maybe the break is doing me good. See you from the chair in the corner! That's how a lot of the best (or worst) jokes start but generally, you know what to expect when you hear it. Sometimes in life we spread ourselves quite thin and don't realise it until it all catches up with us. I have reached such a time so am shelving the hobby for now until I can decide what needs to be done. If it means starting afresh with something new or continuing where I left off in a few months, then that's what I'll do but for now... my own hobby projects on this blog will disappear. There may well be links/pics/ideas for things of a hobby nature but there won't be any physical hobby stuff from me. So where does the blog stand now? Well Inso's World has always been about hobby stuff with life thrown into the mix (amongst other things) so there should still be music, poetry, stories, news, comments on life and all that sort of stuff. I have also bought into some kickstarters and will likely still buy the odd thing that takes my fancy... so just because I am not painting/model-making, it doesn't mean I wont have stuff to talk about. You never know, I may even write a few reviews or put some rules up. It is likely that updates will reduce until I find my feet again so don't be too surprised if there are a few Sundays without post... it is boring enough for me WRITING about nothing so I am sure it is as boring for you READING about nothing. Stay tuned... this thing ain't over yet. See you from the distance! I remember when I was 13, one of my friends showed me a small selection of 15mm Traveller miniatures and was raving about how cool they were. As time went by, I was introduced to MERP, Bushido, D&D, Judge Dredd and Golden Heroes (we played a lot of this) before finally succumbing to the lure of WH40K. I've been in 'the hobby' ever since... 29 years or so and do you know what? I look at my horde and I am starting to realise just how much time, effort, money and space it takes up. My living room looks like a second hand game shop or some sort of model making workshop. My loft is filled with old kits/miniatures/gaming paraphernalia, my computer is filled with photographs and files relating to miniatures and gaming, my bedroom has cases filled with miniatures in it and it has all suddenly become so noticeable. I think that is why I have become so disinterested in the whole thing. I am fed up with being reminded of the clutter of it all and have finally reached a point where I am seriously thinking of getting rid of everything. I am not going to rush into things... after 29 years it would be unfair to just round it all up in a bag and dump it but I am seriously considering a life without my hobby. Obviously, my sculpting would continue (maybe having fewer distractions may help me focus a little better... well... help me focus at all would be a good start) but it is very likely that I will be putting E-Bay to good use pretty soon. I expect this is going to be a lot like giving up smoking. See you from a point in time and space! It would appear that nature has finally decided to deliver a couple of sunny days and as I sit typing, the sun is high in the sky, the birds are chirping in the garden and the back door is open for the cats to go in and out as they wish. As you can see, he is a rather massive fellow so he was useless for the original reason I bought him; to convert into a heavily armoured Dwarf. That means, he is just a random paint job; something to fit in somewhere in the future maybe. I decided to fill in the helmet area so that I could say that the suit inhabitant could be anything from a large alien to tiny aliens that pilot the suit from the helmet area. That keeps my options open. I have included the already partially painted mech in the bottom pic. I will be painting these in different colours and they will just be mechs... I haven't really decided what to do with them yet but at least they will be painted. As an aside, the middle mech demonstrates that blue-tack doesn't always do its job. I had stuck the mech to my priming plank with blue-tack and it didn't hold... so the mech went for a bounce on the grass (cunningly falling to bits). Luckily, it was repairable but it just goes to show how heavy these things are! Well... that is about that for today. See you from the gingerbread house! It has been an interesting week. A lot of things have sorted themselves out and I have actually managed to start doing some painting. 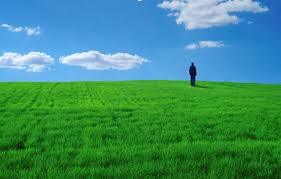 I'll go for a wonderful walk in the sun. Then I thought 'it is blowy', I'll save all the fuss. And instead, take a trip into town, on the bus. That a bus trip to town's a good start to the day. A hot cup of coffee, watching people go by. Doing sudoku and feeling time fly. A mystery item, to liven up things. Then it's back to the stop and to save any fuss. I cheerfully travel, back home on the bus. It is a small walker from the Kryomek range (from Scotia Grendel). It is one of those miniatures that I bought in a fit of nostalgia because I originally bought one in the eighties but it long since got lost so I felt the need to replace it. It is just something random to paint and speaking of random, apart from the sculpting and normal painting I have on the table, I now have a partially painted, converted, Enforcer captain from Mantic Games and a Sasquatch from Reaper Miniatures waiting for some putty to dry before I can prime it. Kick Starters are all the rage and as I mentioned in my last post, I am on board with a few at the moment. First up is Warzone Resurrection which has now finished. I am now waiting for three Vulkan Battlesuits with additional close combat weapons to be sent out in June/July/August. I plan to use them as support for my Dreamforge Games troopers. 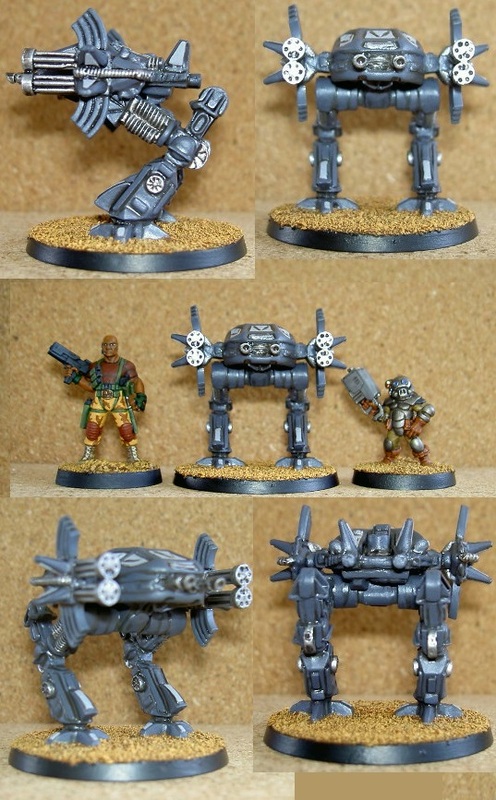 Next comes Crossfire Miniatures which is still running at the moment. I have pledged enough to get the five heroes that will be produced. 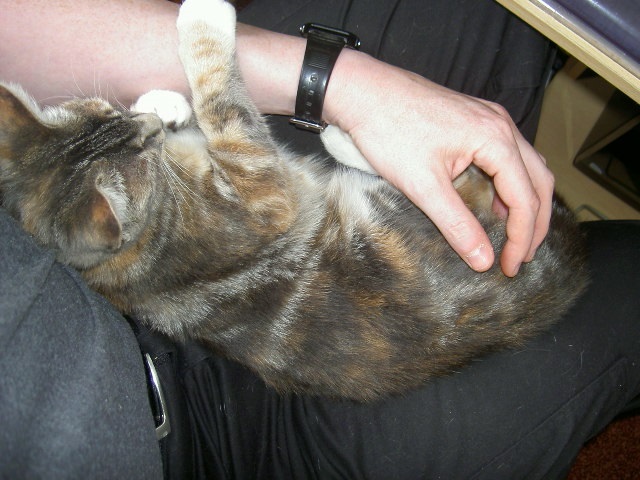 It is likely to stay that way unless something truly awesome jumps up and demands my attention. Finally, we have Deadzone from Mantic Games. This one is due to finish very soon and has got my undivided attention. I have pledged enough (so far) to get a starter faction (Rebs) and a $50 booster (which will be two boosters of my choice because it is buy one, get one free). I plan on getting a Forgefather booster (which contains Dwarf Bikers!) 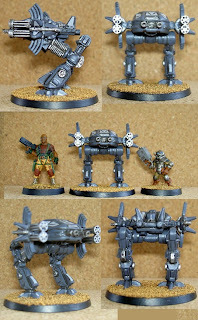 and possibly the Rebs booster. 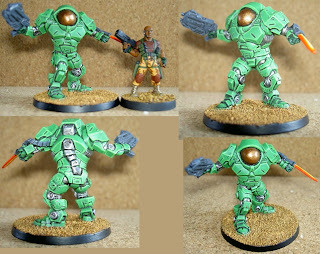 Alternatively, I may go for the $50 faction starter for the Forgefathers and Asterians... Hmmm... decisions, decisions. I just hope I can get my mojo to build up to a state where I can actually paint all of this (or even a small amount of it). See you from a point of introspection!